A balustrade at Christ Church Cathedral in Oxford, England, captured Fred Ziegler’s imagination when he studied there in the 1960s. The interlocking arches intrigued him and the design rattled around in his brain for years. Decades later, he finally excised the pattern by incorporating it into a balcony in his new timber-framed home. 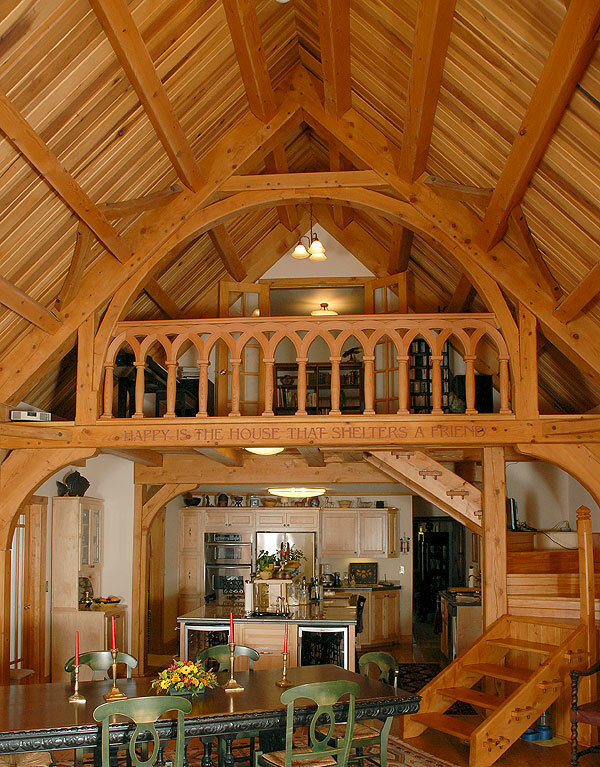 Ziegler crafted the columns from reclaimed 100-year-old factory beams made of Douglas fir. He turned the arch segments on a 36-in. faceplate lathe. The challenge was to adapt the original limestone design to wood and master the geometry of the intersecting arches. Watch the slideshow (click on the button above) for details on how he completed the project. The balustrade is just one of many notable fixtures on Ziegler’s property. 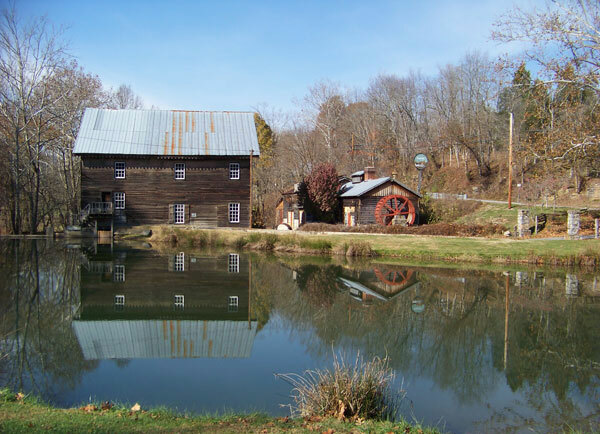 He and his wife retired to West Virginia and bought an 1857-era water-powered mill (left). They’ve since worked to turn the Old Cook’s Mill into a center for traditional crafts. They installed woodworking equipment in the mill itself, set up a forge building for metal work, and are preparing another outbuilding for weaving. Ziegler houses his collection of antique woodworking tools in a fourth outbuilding. Photos: Steve Brightwell, Beckley, W Va.
With its heavy-duty distortion, weighty rhythms, and cynical lyrics, Tool is a heavy metal band for the ’90s. Rather like Metallica circa …And Justice for All, the sound is focused heavily on texture, with vocals and guitars layered one atop the other, and heart-pounding drums underlying everything. There’s not a whole lot of variety on Tool’s second full-length album–most of the songs start off fairly low-key, kicking into high gear for the chorus, and repeat–but Maynard James Keenan’s distinctive voice, the prog-rock stylings over a heavy metal base, and a supremely unhealthy dose of vitriol make this the perfect album to bang your head to.